November 22, 2012: Further to the entry below on November 6, please note that, due to Paul Deakin's skateboarding accident, which led to surgery on his elbow, there have again been date changes for two Nashville shows - Ryman Auditorium and 3rd and Lindsley. See Shows page for details. November 13, 2012: Robert Reynolds is taking part in a Cystic Fibrosis fundraiser at Tequila Cowboy, Nashville, on Wednesday November 14, 2012. The event starts at 18:00 and runs until 22:00 hrs. Other artists include: Bailey and the Boys, Ronnie McDowell, Alyssa Bonugura, Two Steele Girls, Jessica Cayne and Jeremy Miller. November 6, 2012: Please note that, due to Paul Deakin's skateboarding accident, there have been date changes for two Nashville shows - 3rd and Lindsley and Ryman Auditorium. Also new show for Texas announced for December 31st. October 23, 2012: And we have another video, albeit only 2 mins 20 long. The Mavericks visited the Grammy Museum on September 5, 2012. Or should that be Mavericks Lite - there were only Raul Malo, Eddie Perez and Michael Guerra on stage. Anyway, this video is of the trio playing Come Unto Me. Actually, if you visit a different page on the Grammy website, you can find three short interview clips with Raul and also another five songs. October 22, 2013: The Grand Ole Opry is running a competition - the winners get a trip to the Ryman Auditorium for the two Mavericks' appearances on November 17, 2012, plus an opportunity to meet the band, and a few other benefits. Click here for the entry page. Please note the date shown has been changed to Friday, January 18, 2013, due to Paul Deakin's skateboarding accident (see above). October 21, 2012: A blast rom the past: The Mavericks appearing on the 5th series of UK TV show Later... with Jools Holland on 17 March 1996, performing What A Crying Shame. Nice that someone has posted this on YouTube. Click here to view. October 20, 2012: You can now enjoy an hour-long video of the Mavericks' performance at The Arizona State Fair on October 18th, which is available on YouTube. Click the link above - beware, there's some, ahem, strong language at about 45 mins into the show! But Raul DID get them up and dancing with it. Below are some captures from the video. Arizona State Fair, October 18, 2012. Paul Deakin, Raul Malo, Robert Reynolds. Setlist for Arizona State Fair: Back in Your Arms Again, Lies, Born To Be Blue, Come Unto Me, Pretend, O What a Thrill, There Goes My Heart, What A Crying Shame, Blue Bayou, Dancing in the Moonlight, As Long As There's Loving Tonight, Dance The Night Away. 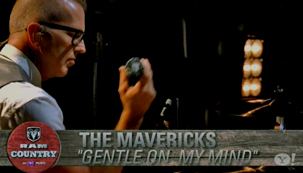 Watch the Mavericks at the AMA Awards show, Nashville on 12 Sept 2012 on YouTube. September 8, 2012: The Mavericks are amongst the performers appearing at the AMA Awards, Wednesday September 12, 2012, at the Ryman Auditorium, Nashville. Americana fans can choose one of many ways to watch or listen to the spectacular lineup live from The Ryman Auditorium on September 12. 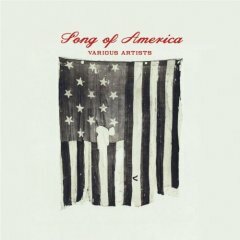 The Americana Honors & Awards, presented by Nissan, will be airing live on AXS TV, NPR.org, Sirius/XM and WSM (7pm CT/8pm ET). Austin City Limits will broadcast an edited special November 10th. Voice of America and Bob Harris of BBC2 will broadcast overseas in the following weeks. August 7, 2012: Interesting news of Robert Reynolds' involvement in a 10-episode TV series to be aired in 2013 - Rock Raiders. • ROCK RAIDERS (working title) – Premieres 2013 – On ROCK RAIDERS, one man's trash is two guys’ treasures. In this 10-episode series, the collectors Robert Reynolds and Stephen Shutts travel across the U.S. in search of music history's most-treasured finds, scouring local flea markets and garage sales to discover personal – and sometimes valuable – music memorabilia. From finding a vintage juke box that once belonged to Johnny Cash, to potential items from such artists as Elvis, Hank Williams Jr., Nirvana, Cheap Trick and Led Zeppelin, each episode embarks on a fun, light-hearted and often unexpected quest. ROCK RAIDERS is produced by Tom Forest and Thom Oliphant for Taillight TV, with Jayson Dinsmore and Claire McCabe serving as executive producers for CMT. August 6, 2012: Three Hillbilly All-star interviews from Ireland in 2006 are now on the Press pages. The first one is with Robert Reynolds & Paul Deakin together, then Paul Deakin is interviewed separately (both of these are while they were touring with Kevin Montgomery in January 2006), and then Chuck Mead is interviewed backstage at the Midlands Music Festival in July 2006. These were published in Lonesome Highway in August 2006. August 5, 2012: Scotty Huff's 2003 CD, Assorted, is still available to buy online - as a CD or a download - at either Amazon.com or Amazon.co uk. See Press pages for tracklisting and musicians. August 3, 2012: Not exactly news, but SWAG's appearance on Conan O'Brien's TV show in 2001 is now available on YouTube. The song they perform is I'll Get By from Catchall. Doug Powell on lead vocals; Robert Reynolds, bass guitar; Jerry Dale McFadden, keyboards; Warren Pash, guitar; Ken Coomer drums. August 2, 2012: Bill Lloyd, erstwhile member of SWAG, is a founder member of The Long Players. They periodically perform shows in venues in Nashville (and sometimes beyond) covering classic albums, with a varying "house band", much like SWAG, and with an array of guest artists - including our very own Robert Reynolds, Chuck Mead, Scotty Huff, Warren Pash, and many others - including Pat Buchanan and Will Kimbrough. Their website has a vast amount of detail and a large selection of edited highlights videos going back to 2007, which are well worth a look at - and a page of selected full-length videos of guest singers performing. Click the link above. The next show they're doing is September 8 2012, when they're covering The Traveling Wilburys Vol 1. June 25, 2012: Three more videos are available at New Country Q104.1. You can see Raul Malo and Eddie Perez play acoustic versions of Born to Be Blue and Come Unto Me, and they also participate in a quirky "Tiny Couch" video interview - all recorded on June 13, 2012. You can read an article, watch an interview with Raul Malo & Robert Reynolds, and also watch a video of the Mavericks performing a very nice version of Glen Campbell's hit Gentle On My Mind by going to Yahoo! Music. The video of Born to be Blue is there too. The video of Gentle on my Mind is now on YouTube, so you can just view that direct if you wish. May 18, 2012: Robert Reynolds, Paul Deakin and Jerry Dale McFadden - in their "other band", the Mavericks - have put out their first single for 2012, Born to be Blue. There are a few videos on YouTube of the show at 3rd and Lindsley, Nashville, on April 23, 2012. I'm quite fond of Come Unto Me, which is much more complex and vibrant than the single, IMO... Visit YouTube and decide for yourself. Also there will be an EP released on iTunes on May 29, 2012. - entitled Suited Up and Ready. Full album released in September 2012. 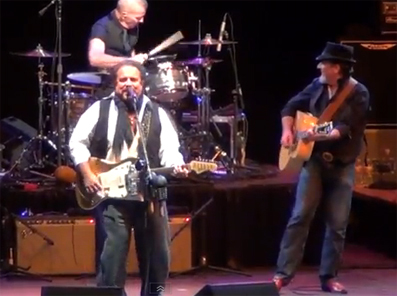 L to R: Robert Reynolds, Raul Malo, Jerry Dale McFadden, Paul Deakin, Eddie Perez. The Mavericks have a Facebook page. 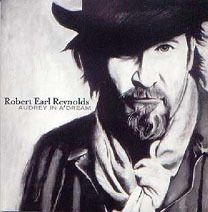 March 22, 2012: Robert Reynolds and Paul Deakin have been busy recording as the Mavericks recently. Greg Scearce's Mavericks Reunion blog has some very nice photographs from the recording sessions, thanks to Jerry Dale McFadden who is back with the band. Be sure to click on the January and February archives for some more photos. 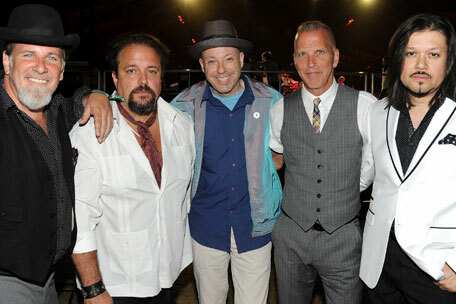 October 21 2011: Robert Reynolds and Paul Deakin are reuniting with Raul Malo as The Mavericks to play at the Empire Polo Club in Indio, CA - on 27, 28 and 29 April 2012 - part of the Stagecoach Country Music Festival. This will be followed by a US and European tour in the summer. Talking about the Mavericks reunion, bassist Robert Reynolds said he missed playing with his old bandmates. "Time away has really allowed me to miss the guys and the music we made together. We owe it to the fans a thank you. The thing that saddened me was trying to imagine never playing those songs with my fellow Mavs and for the fans that showed us such love. It's time to correct that. Here we come again." Paul Deakin said: "I've always thought of The Mavericks as one of those bands that had an inexplicable chemistry that resulted in a kind of magic on stage. Possibly the relentless pursuit of fun helped the mojo along... I can't wait to get back on the horse again." June 16 2011: Scotty Huff was recently onstage augmenting a band containing Duane Eddy for a celebration of a release of re-recordings of Tom T Hall's 1970s children's music with an album called "I Love: The Songs from Fox Hollow". Many other famous artists, including Jim Lauderdale, were there. Visit Scotty's site to read about the event. Paul Deakin's latest collaboration is with David Mead, Swan Dive's Bill DeMain, and Brother Henry's David Henry. 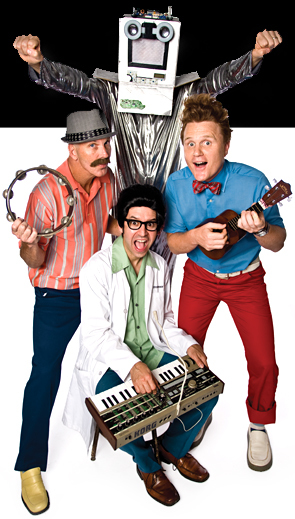 They have formed a children's entertainment band entitled Davey Ukulele and The Gag Time Gang. The band has made a CD, The Adventures of Davey Ukulele and The Gag Time Gang, and should you have a small child who wants to hear it, tracks are available on iTunes. They have a two-page website, with a link to a YouTube video. Paul Deakin as you've never seen him before! January 29 2011: Latest news - Operation: Sound Off! (OSO) have launched a fund raising campaign at KickStarter.com. This gives you the opportunity to purchase advance CD's and earn cool rewards while supporting our talented members of the Armed Forces. Many of you know that OSO is a project created by Grammy Award winner, Robert Reynolds (The Mavericks) and producer/arranger, Scotty Huff (Keith Urban, Jake Owen) to give musical military men and women, both active duty and veteran status, an opportunity to record their music with the best in the business, and tell their stories via an episodic television production, all at no cost to them. Many of these heroes set aside their own musical dreams in order to defend our freedom to dream. OSO wants to return the favor. As with many endeavors these days, help with funding is needed. OSO has begun a KickStarter.com fund raising campaign in order to fund some early recordings, as well as film and develop a proper "sizzle reel" TV pilot, in order to secure collaboration with interested music industry and corporate partners. KickStarter is an online platform which provides an "all or nothing" program for companies and individuals to raise money for projects. OSO's campaign gives rewards for participation such as; Advance CD's, CMA Award Show Tickets, Trips to Nashville, and even a private OSO "House Concert"! See Jan 12 entry below. To learn more about Operation: Sound Off!, its KickStarter campaign, and how you can help fulfill the dreams of those that fight for ours, please visit Kickstarter . On that page you can watch a video and learn even more about Operation: Sound Off from Robert Reynolds and Scotty Huff. January 3 2011: Due to unforeseen circumstances, Robert Reynolds and Paul Deakin are no longer able to be with Kevin Montgomery for the Roadtrippers Reunion. Kevin is still touring the UK, but witth other musicians. Details are below - scroll down to the entry for June 17 2003. Robert Reynolds and Paul Deakin are set to reunite with Kevin Montgomery and Mike McAdam as The RoadTrippers and tour the UK and Europe in December 2010. Shows so far booked are in Glasgow, Mickleton, Leicester, Silsoe and Bristol. Operation: Sound Off! Scotty Huff and Robert Reynolds have collaborated on a project entitled Operation: Sound Off! - in which musicians who are members of the armed forces can record their music free of charge and help themselves to reintegrate into life after combat. 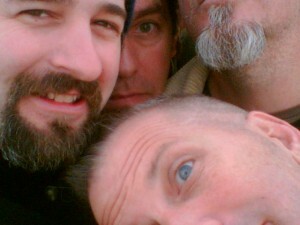 January 6 2010: Paul Deakin, Scotty Huff and David Mead (of Elle Macho) will be playing as The Van Winkles at The Hogsbreath in Florida, 11-17 January 2010. See Shows page for details. Scotty Huff and Robert Reynolds are again composing and producing the soundtrack for the latest in the Black Lagoon series of animated films for Scholastic - Gym Teacher from the Black Lagoon. Scotty and Robert have already provided the music for 25 films for Weston Wood Studios. 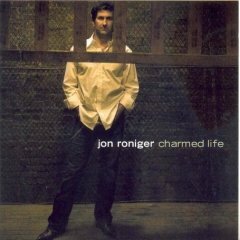 April 8 2008: Robert Reynolds has co-produced Jon Roniger's new record, Charmed Life which is due to be released on Tuesday 15 April 2008. Robert also plays on the album, along with Paul Deakin, Scotty Huff, Warren Pash - and many others (see below). 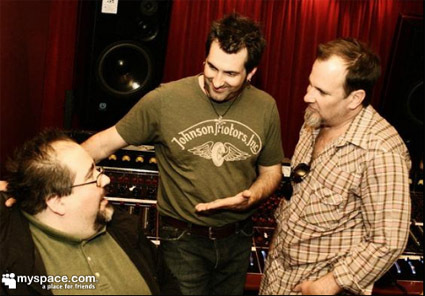 L-R: co-producer Jim Reilley, Jon Roniger, and Robert Reynolds, pictured at 16 Ton Studios, Nashville. October 6 2007: "Deakin, Reynolds and Friends" are appearing at The Hogsbreath, in Key West, Florida, from Monday 8 October to Sunday 21 October 2007, inclusive - 10pm-2am EST. You can watch and listen to the shows live on the webcam at the Hogsbreath website. Earl Bullhead - "Lakota Dream Song"
Julie Lee - "Once More Our God Vouchesafe To Shine"
Blind Boys of Alabama - "Let Us Break Bread Together"
John Wesley Harding - "God Save the King"
Elizabeth Foster - "Young Ladies in Town"
Malcolm Holcombe - "The Old Woman Taught Wisdom"
Ed Pettersen - "The Liberty Song"
Harper Simon - "Yankee Doodle"
The Wilders - "Jefferson & Liberty"
Steven Kowalczyk-Santoro - "Hail Columbia"
Take 6 - "Star Spangled Banner"
Beth Nielsen Chapman - "Sometimes I Feel Like a Motherless Child"
Freedy Johnston - "Peg and Awl"
BR549 - "Sweet Betsy From Pike"
Will Hill and Jehnean Day Washington - "Trail of Tears"
Minton Sparks and Pat Flynn - "Declaration of Sentiments"
Fisk Jubilee Singers - "Go Down Moses"
Mavericks [ft. Thad Cockrell] - "Dixie’s Land"
Marah - "John Brown’s Body"
Joanna Smith - "Battle Hymn of the Republic"
Janis Ian - "Johnny I Hardly Knew Ye"
Tim O’Brien - "Thousands Are Sailing to Amerikay"
Otis Gibbs - "The Farmer Is the Man"
Joni Harms - "Home on the Range"
Jake Shimabukuro - "Stars & Stripes Forever"
Jen Chapin - "Over There"
Andrew Bird - "How You Gonna Keep ’Em Down on the Farm"
Karen Parks - "Lift Every Voice and Sing"
Danielson - "Happy Days Are Here Again"
Andy Bey - "Brother Can You Spare a Dime?" Jim Lauderdale - "Seven Cent Cotton and Forty Cent Meat"
Old Crow Medicine Show - "Deportee"
Suzy Bogguss - "Rosie the Riveter"
Folk Family Robinson (Black Crowes with Stan Robinson) - "Reuben James"
Scott Kempner - "Apache Tears"
Elizabeth Cook and the Grascals - "The Great Atomic Power"
Devendra Banhart - "Little Boxes"
The Del McCoury Band - "The Times They Are A-Changin’"
Kim Richey - "Get Together"
The Dynamites / Charles Walker - "Say It Loud, I’m Black and I’m Proud"
Anthony David - "What’s Going On"
Martha Wainwright - "I Am Woman"
Bettye LaVette - "Streets of Philadelphia"
Gary Heffern / Chris Eckman - "Wave"
Judith Edelman / Neilson Hubbard - "Sleep, My Child (Schlof Mayn Kind)"
The Wrights - "Where Were You When the World Stopped Turning"
John Mellencamp - "This Land Is Your Land"
August 5 2007: "Deakin, Reynolds and Friends" are appearing at The Hogsbreath, in Key West, Florida, from Monday 6 August to Sunday 12 August 2007, inclusive - 10pm-2am. You can watch and listen to the shows live on the webcam at the Hogsbreath website. July 31 2007: More Live Hillbilly All-Star photographs from the Midlands Music Festival 2007 [Saturday 28 July & Sunday 29 July 2007] added to the site, courtesy of Karen Miller & Raymonda Laermans. Click here to view. This year's line-up was: Robert Reynolds, Paul Deakin, Chuck Mead, Chris Scruggs, and they were joined by Jim Lauderdale for two songs on both days. Visit the Diary section on Karen's site for a full review of the weekend's events, and the Flickr page she has uploaded for many more great photos. September 17 2006: Robert Reynolds is acting as Nashville guide to Bryan Burnett of BBC Radio Scotland for the first hour of Bryan's Brand New Country show on Friday 22 September 2006. September 16 2006: Review of the Hillbilly All-Stars appearance at the Midlands Music Festival, Ireland, added to the Press Section. July 9 2006: Live Hillbilly All-Stars photographs from Switzerland in April 2006 added to the site. Click here to view. More photographs from the event can be found at the Country Music Club of Switzerland's website . There are quite a few photos of the band, interspersed with pictures of the audience, so keep watching while they rotate to make sure you've seen them all. Many thanks to Marco Duss for permission to reproduce his photographs. 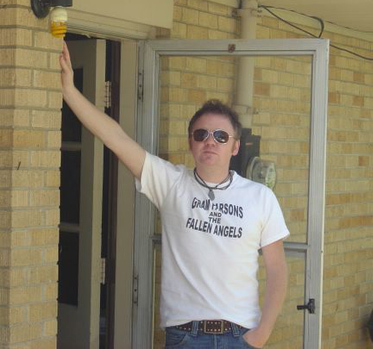 June 18 2006: Twang Trust, a Canadian radio station, interviewed Robert Reynolds on 31 May 2006. You can still listen to the archived 20-minute interview at http://www.twangtrust.ca/may31-2.mp3 This is still available to download as at March 2013, although their online list of archived shows only goes back to 2012. June 12 2006: Robert Reynolds and Paul Deakin will be appearing at The Hogsbreath in Florida in July - in a show billed as Deakin, Reynolds and Friends, which runs from 17-23 July 2006. Check the Entertainments listings - and watch the webcasts. They do occasionally play SWAG songs. The Hillbilly All-Stars are made up of Robert Reynolds and Paul Deakin of the sensational country mega-band, The Mavericks, Chuck Mead of BR549, and hit solo recording artist/actor Mark Collie. They will be rounded out by a backup band of some of country music's best studio musicians to complement this new honky-tonk country supergroup. The Hillbilly All-Stars came about when these musical friends all got together over their common love of old style honky-tonk country music. Fun jams lead to occasional gigs between their own projects. The excitement created from these sessions almost demanded that more must happen - and more is happening! Recordings are in the works, with a debut CD slated to hit the streets this summer along with some North American touring. Live, The Hillbilly All-Stars are the best of both worlds. They'll play many of the well-known hits from their individual recording careers - songs like "All You Ever Do Is Bring Me Down" and "There Goes My Heart" from The Mavericks - Mark Collie hits such as "Even The Man in the Moon is Crying" and "Shame Shame Shame" - plus songs from BR549's past recordings. Their live show will also highlight their new CD plus their interpretations of many great country honky-tonk classics - the very songs responsible for the creation of The Hillbilly All-Stars in the first place! Limberjack: An authentic Appalachian Mountain rhythm instrument made and played in America since colonial days. Sometimes called a clogger man, jigger, or shuffling Sam because of its dancing action. OR, a new and consisting of three of Nashville most beloved, prolific and astute music heroes. Matt King has done the major label dance, released several acclaimed solo albums and reinvented himself as a true to life country music outlaw. He is one third of Limberjack. The other two-thirds of Limberjack are made up of the driving force and rhythm section of one of the most successful and most awarded bands in country music, The Mavericks. Robert Reynolds and Paul Deakin have teamed up with Matt King to form Limberjack, Nashville's newest supergroup. Pictures from the recording of Dean Owens' new record, Whiskey Hearts, can be found on his site - here are two of them, courtesy of Dean Owens. 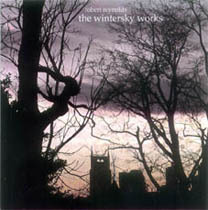 Occasional touring with Kevin Montgomery, with frequent visits to The Hogsbreath, where the shows are webcast and you may well hear a SWAG song or two..
Robert released another album, entitled The Wintersky Works. "The inspiration for this little collection came while preparing for another tour of the UK. A number of dedicated friends and fans were interested in hearing my solo efforts, and though this project is still taking shape, I decided to release some work in progress. It's a random selection of songs, some earmarked for a future pop project and a few that were written for my first solo record, which will blend my love for country, rock, and pop." I started this song while on tour in England, inspired by bittersweet phone calls from an old friend. Finished with Steve Allen and Jerry Dale McFadden back in Nashville. Part truth, part fiction - a composite of several people and stories. Written at home in Nashville. Written as a little tribute to my mother and her love for animals, also dedicated to her dogs Lucky and Annie. Written while on tour in Australia. A song about a real girl and a real cigarette. Both shall remain nameless. An early morning song written in reflection of a difficult time in my life. Finished with my friend Steve Allen at his home studio. The title was inspired by a half sleep dream and a painting of Audrey Hepburn. A song about love and communication. Finished and recorded at Steve's studio. March 15 2003: Robert Reynolds is continuing to tour Europe and the UK as a member of Kevin Montgomery's band The Road Trippers. Robert is composing his own songs and sings some of them on tour, notably "Dragonfly", which is always received very well by the audiences. 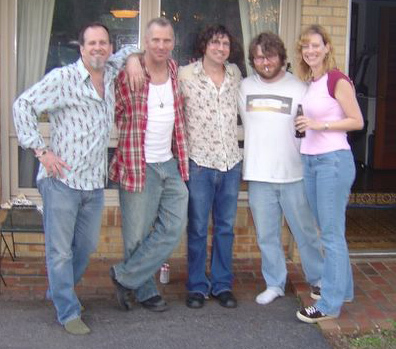 July 8 2002: Robert Reynolds will be playing in Kevin Montgomery's Roadtrippers for their second two-week residency at the Hogsbreath in Key West, Florida, July 8-21. June 4 2002: Jerry Dale McFadden news: he has just finished recording four more songs with Sixpence None The Richer for their September release. May 30 2002: Doug Powell update: Doug will be playing bass in July with Pete Stringfellow on his tour of China. Doug's new CD, The Lost Chord, is now available now from Parasol Records - on their site there's the chance to hear a track from the CD, "Baby Blue". There's also a new book available, "Flash Frames: A New Pop Culture", by Stuart Shapiro and Laurie Dolphin, which includes some of Doug's artwork. An interview with Doug about his work with Todd Rundgren can be found in the biography "A Dream Goes on Forever: The Continuing Story of Todd Rundgren" by Billy James. May 19 2002: Robert Reynolds completed his latest tour of Europe in Kevin Montgomery's band The Roadtrippers. Also in the band were Paul Deakin (ex Mavericks and SWAG), and Al Perkins. Support was Joe Pisapia. Meanwhile, Robert Reynolds is playing in Kevin Montgomery's band at their two-week residency at the Hog's Breath, in Key West, Florida, 18-31 March 2002. Other members of the band are erstwhile SWAG guests Paul Deakin (drums) and Scotty Huff (guitar). March 1 2002: Doug performs a track on the 60th birthday tribute to Brian Wilson - he performs "'Til I Die". This album will be released by Silent Planet this summer. Sixpence None The Richer also have a track on this CD. Doug also has a track on a new Not Lame Records compilation . He sings the Partridge Family's 'I Woke Up In Love This Morning'. February 28 2002: Ken Coomer will be performing at SXSW this year with Bare Jr. They are scheduled to play at Stubbs on Friday, March 15 at 9:00 p.m. Otherwise, Ken is currently keeping himself occupied by getting involved in producing a few bands in Nashville. February 27, 2002: Robert Reynolds and Paul Deakin recently completed a two-month tour of Europe with Kevin Montgomery's band Paint. Paint released a 4-track EP - tracks were Tennessee Girl, Bella Bina, Cajun Song and Melrose. Doug Powell and Jerry Dale McFadden also played on the EP. see Trampoline website Paint page for information. February 9 2002: News from Doug's website that he has almost finished his new CD 'The Lost Chord', which will be released later this year on Parasol Records. More DP News is that Doug is contributing 'Waters Part' to a Let's Active tribute. January 21 2002: The Japanese label JVC will shortly be putting out SWAG's Catchall album with two bonus tracks, "Your New One" (never before released, Robert sings) and "Let It Go" (which was a SWAG song which appeared on Jerry Dale's solo album "This Girl"). You can find details of Jerry Dale's music on the Australian Trampoline site. January 19 2002: Robert Reynolds and Paul Deakin are currently touring Europe with Kevin Montgomery. Robert has been getting wild applause for his solo spot, which features 'Near Perfect Smile' and a new song he's written, 'Dragonfly'. For more details on the tour, which lasts until mid-February, check Kevin Montgomery's site. Jerry Dale McFadden had been pencilled in to join the Kevin Montgomery tour, but in the end was committed to Sixpence None The Richer. The new issue of ICE magazine mentions SWAG's version of "Don't Bring Me Down" on the forthcoming "Lynne Me Your Ears: A Tribute to Jeff Lynne". It was one of only five "key cuts" mentioned of 33 total tracks. Doug Powell is the executive producer of this tribute. It can still be purchased from Amazon.com and Amazon.co.uk as downloads. 6 Pat Buchanan - Rockaria! June 17 2001: SWAG played a 40-min set at 3rd and Lindsley in Nashville - songs were: Different Girl, Please Don't Tell, Sweet Lucinda, Near Perfect Smile, Lone, Trixie, Louise, I Don't Even Know Your Name, Ride, She's Deceiving, You. Sean Kelly from Sixpence None The Richer stood in for Doug Powell, who couldn't be there.